Most people would never use a tissue that someone else sneezed in, let alone pay $80 for one, but one Los Angeles startup claims to have already sold close to a thousand sneeze-filled tissues to people who want to catch a cold virus now so they don’t get sick with the same cold later. Does that make any sense? 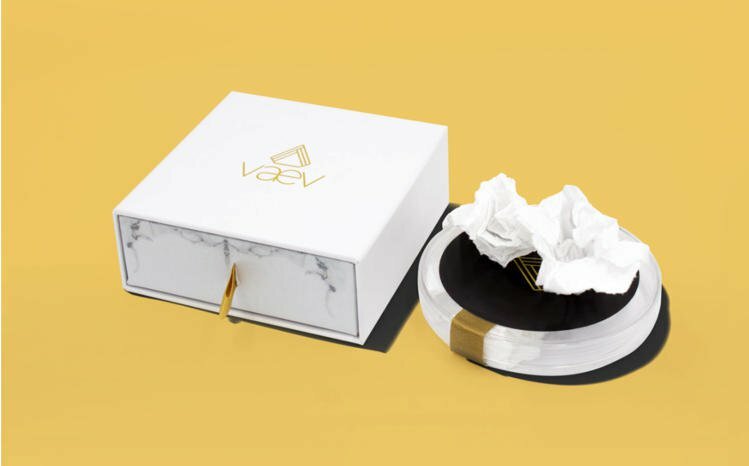 Vaev bills itself a “wellness brand” although technically it’s helping people get sick by selling them tissues that complete strangers sick with the cold have allegedly sneezed into. But who in their right mind would pay $79.99 on a germ-contaminated used tissue? Well, that would be “open-minded people” who appreciate the luxury of being able to get sick “on their own terms”. Vaev founder Oliver Niessen, 34, claims that these expensive used tissues should be viewed as alternatives to conventional medicine, in that they allow you to purposely catch a cold whenever you want, in order to decrease the risk of catching that same cold at a later date. It’s basically all about choice and getting “sick on your own terms”. But why would anyone want to get sick at any time? Well, Niessen offers a very simple example: say you’re getting ready to go on vacation and want to minimize the risk of a cold ruining your fun. You use a sneeze-contaminated Vaev tissue and get sick now rather than on vacation. Makes sense, right? Well, no, not really. Experts warn that while Vaev tissues could technically immunize you against the same strain of cold virus you voluntarily contaminated yourself with, for a short period of time, there are hundreds of other strains of cold virus you could catch. This bizarre inoculation only works for the specific type of cold virus in the tissue. So how do Vaev tissues get contaminated? Well, Niessen claims his company has about 10 go-to sneezers, some of which it recruited online. They sneeze into a batch of regular tissues, send them back to the company, which then packages them in sealed petri dishes and mails them to customers. Apparently, the company checks in with them regularly to check if any of them are sick, and most of the time at least one of them is, but when they’re all healthy, it can literally halt production. Still, he claims having a larger “stable” of sneezers is tough for a startup, so for now 10 is the perfect number. Considering how ludicrous all this sounds, it’s not hard to see why most people who hear about Vaev think that it’s fake. However, founder Oliver Niessen, who got the idea for it in 2015, claims he finds the suggestion that his company may be a hoax very annoying. Vaev tissues are currently listed as out of stock on the company’s website – probably due to those sneezers not getting sick quick enough – but Niessen says that they’ll be available for sale again very soon. You just make sure you got that $79.99 ready, because they’re selling like hot cakes. So, are Vaev tissues real? At this point, no one really knows. Do sick people really sneeze into them? Again, no way to know for sure, but that’s what they’re claiming. But “they”, meaning Niessen, are being very mysterious about this bizarre service, which only makes the whole operation seem shady. 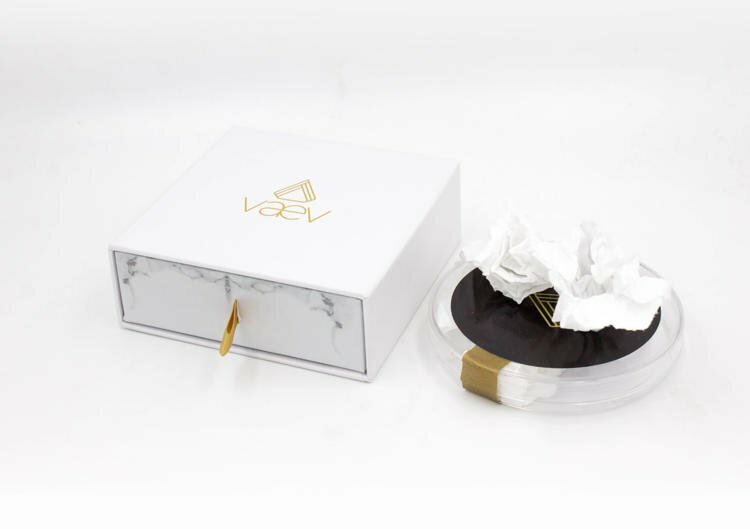 One thing I’m sure we can all agree on is that if it turns out to be real, the Vaev tissue is a strong contender for the title of weirdest product of the year.